Act I: Alexander Chen ‘22 plays Pandolfe, or Cinderella’s father, in Act 1 of Massenet’s Cendrillon. Photo: Joshua Chiang. Act I: Madame de la Haltière, or Cinderella’s stepmother (Rebecca Thau ‘20), with Noémie and Dorothée, the stepsisters (Hagar Adam and Ruva Chigwedere ‘21). Photo: Joshua Chiang. Act I: Arianna Paz ‘19 in the title role of Massenet’s Cendrillon. Photo: Joshua Chiang. 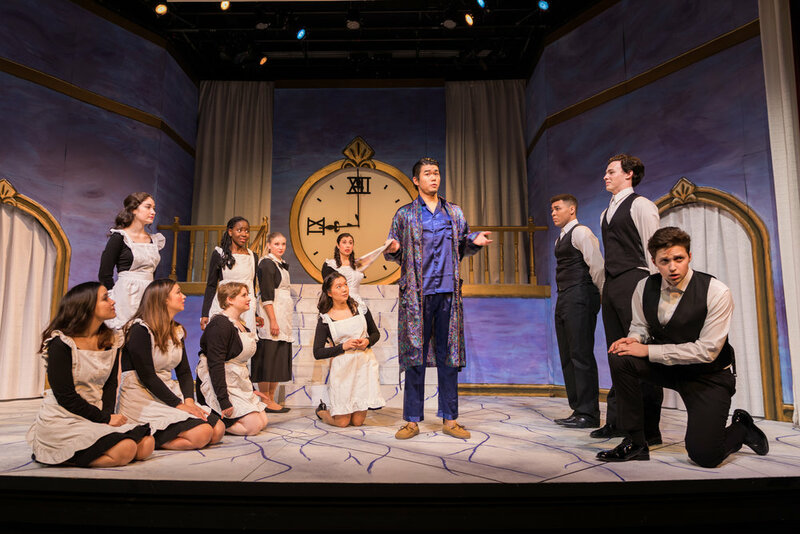 Act II: Le Prince Charmant, or Prince Charming (Samuel Rosner ‘20), reluctantly greets Cinderella’s stepfamily (Alexander Chen ‘22, Hagar Adam, Rebecca Thau ‘20, and Ruva Chigwedere ‘21). Photo: Joshua Chiang. 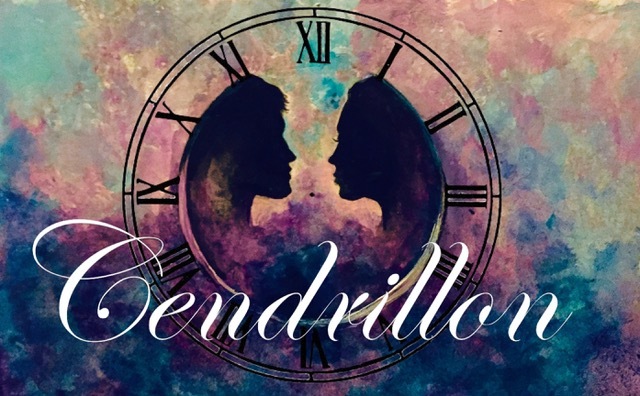 Act II: Cendrillon (Arianna Paz ‘19) and Le Prince Charmant (Samuel Rosner ‘20), meet and instantaneously fall in love at the Prince’s ball. Photo: Joshua Chiang. 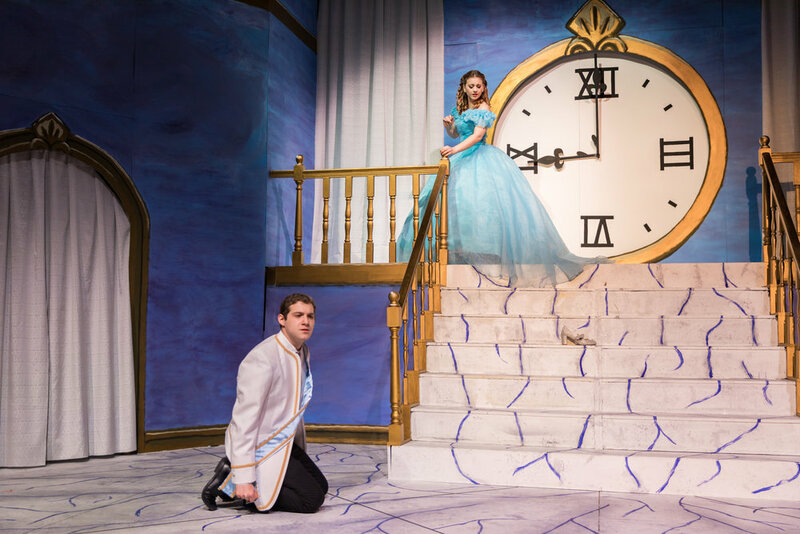 Act II: Cendrillon (Arianna Paz ‘19) reluctantly runs away from Le Prince Charmant (Samuel Rosner ‘20) at the Prince’s Ball. Photo: Joshua Chiang. Act II: James Rose (‘22) as Le Roi, or the King, in Massenet’s Cendrillon. Photo: Charles Wenzelberg. Act III: Natalie Choo (‘22) as La Fée in Act III of Massenet’s Cendrillon. Photo: Charles Wenzelberg. Act III: La Fée (Natalie Choo ‘22) casts a spell on Cendrillon (Arianna Paz ‘19) and Le Prince Charmant (Samuel Rosner ‘20). Photo: Charles Wenzelberg. Benjamin P. Wenzelberg conducts the Harvard College Opera orchestra in Massenet’s Cendrillon. Photo: Charles Wenzelberg. The full cast of Cendrillon. Photo: Charles Wenzelberg. Harvard College Opera dares you to dream in Massenet’s stunning rendition of the most beloved fairy tale of all time. Alongside deeply human moments of tragedy and hardship, Cinderella finds her happily ever after in this irresistible opera of beauty, whimsy, and love. *Featuring a meet-and-greet with the cast for families and children. This production was funded in part by a grant from Harvard’s Office for the Arts.